How do your teeth affect your smile? If you’re in the same boat as many of the people who participated in the BUPA survey – don’t worry! Improving your smile by straightening your teeth is possible. 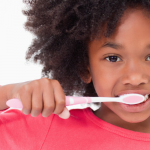 Here are just a few ways to straighten your teeth and finally feel confident in your smile. Here are two types of orthodontic treatment that can improve the way you feel about your smile. Conventional metal braces are the primary treatment used by orthodontists, and that’s because braces can correct several dental problems. 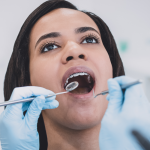 Braces can help fix any overcrowding, spaces between your teeth, malocclusions such as open bites, crossbites, underbites, overbites, and misplaced midlines. Generally, traditional metal braces can rebuild the overall shape and health of your smile. The cost and treatment time with braces can vary depending on the type of dental issue you’re addressing. On average, the treatment time is 24 months but can take up to 36 months, again depending on the dental issue that’s being treated. 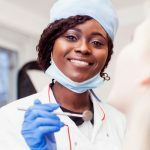 The average cost is between $3,000-$6,000, but can vary due to treatment time and the coverage of your dental insurance. 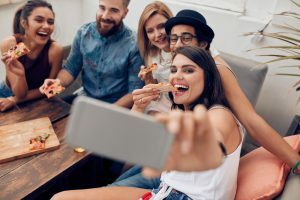 While improving your smile is important to you, you’d probably rather not draw attention to the fact that you’re receiving orthodontic treatment. Invisalign is the way you can get straight teeth without braces. Invisalign clear aligners give you the opportunity to straighten your teeth without having to deal with the brackets, bands, and wires. While clear aligners are a great alternative to traditional braces they aren’t for everyone. Those dealing with gapped teeth, overbite, underbite, crossbite, and overly crowded teeth. may be good candidates for Invisalign. Your orthodontist will be able to determine the right orthodontic treatment for you. Just like braces cost and treatment with Invisalign can vary. The average treatment time for Invisalign is approximately 12 months with the cost being a little higher than traditional braces. 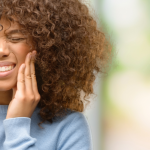 If straightening teeth is a priority for you, then contact Penn Dental Medicine today to see how you can become a patient.